There are notable people throughout Duchy Ballet, many never see the limelight but without them our ballet wouldn't flourish. Born and educated in Cornwall Kay had a career at the United Nations and the World Trade Organisation in Geneva before accompanying her husband to Hong Kong. For many years Kay had been a pupil at the late Miss Irene Luke's Cecchetti Ballet School in Newquay. While living and working in Hong Kong she rediscovered her lifelong love of ballet, establishing a renowned ballet school in the famous Repulse Bay Hotel. Kay was also one of the founders of the Hong Kong Academy of Ballet and the Hong Kong Ballet, which has subsequently developed into one of Asia's foremost ballet companies. 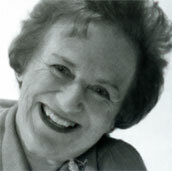 Kay returned to her home in Cornwall in 1983 and became principal of the Capitol School of Dance. 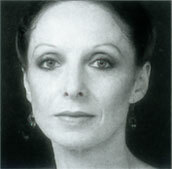 She founded Duchy Ballet in 1997 and has since overseen all of the company's productions as Artistic Director. Terry has worked with Duchy Ballet since 1998, choreographing: Swan Lake, Coppelia, Giselle, Peter & The Wolf, The Snow Queen, The Nutcracker and The Mousehole Cat. 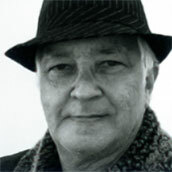 An illustrious career includes soloist with Festival Ballet (now English National Ballet), Ballet Master with Northern Ballet Theatre and West End dancer for The Great Waltz, Showboat and Hans Andersen. He was Principal of the Rambert School, Artistic Director of the Hong Kong Ballet and Head of Dance at the Urdang Acadamy, London. Recent projects include Chess in Denmark, Assassins in Stockholm, Giant Bolster, Billy Elliot Summer School, a new piece for Body Works Cambridge and several projects working with the Cape Town Junior Ballet and Cape Town City Ballet. He is the appointed coach for Billy Elliot in the southwest. This year, apart from his new choreography for Duchy Ballets' Cinderella, Terry is holding a workshop in Kuala Lumpar, teaching in Australia, and choreographing The Snow Queen for the Swedish Royal Ballet School on Gothenburg. Sianne trained at the Royal Ballet School and gained her degree with distinction from Cape Town University. She danced as principal ballerina with the State Theatre Ballet (PACT), South Africa. Sianne has worked with many great dancers and choreographers, including Dame Margot Fonteyn, Natalia Makarova, Sir Frederick Ashton, Sir Robert Helpmann, Sir Anthony Dowell, Dame Merle Park, John Hart, John Field and Nicholas Beriosoff. She has also taught at the Rambert School, London, The Urdang Academy, the Hong Kong Ballet Academy and the Hong Kong Ballet Company; in addition to staging productions in Europe and for Vienna Festival Ballet. She was assistant to Pappa Beriosoff when he staged Scheherazade for the Hong Kong Ballet Company. Sianne has worked as ballet mistress for all Duchy Ballet's recent productions and for companies in Cyprus, Malta and Perth, Australia. 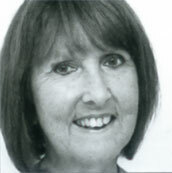 Maureen was born and raised in Cornwall and studied dancing from the age of four. She initially pursued a secretarial career and was later administrator for both the Cornwall Youth Orchestra and the Cornwall Rural Music School. In 1975 Maureen resumed her dance training with Irene Luke and then with Kay Jones at the Capitol School of Theatre Dance. In 1988 she started her own dance school to provide training and dance education for pupils in the more rural areas of Cornwall. She has also worked closely with Kay Jones on all Duchy Ballets previous productions, performing a wide range of duties encompassing many aspects of the company's work.